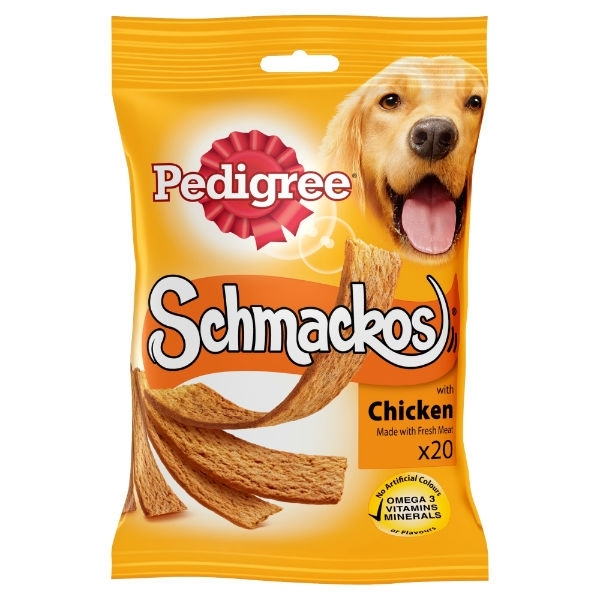 Pedigree Schmackos Dog Treat with Chicken is a delicious meaty treat for your dog. Omega 3 to help keep your dog fit for life. Can be fed at any time as a whole strip, or broken up for use as an ideal training treat; one thing is for sure, that your dog will love the delicious meaty taste.